In the event that a Building Dispute, Party Wall Matter or other issue pertaining to property is taken to Court, an expert witness may be required to provide an impartial inspection and analysis of the disputed subject, to aid the Court in making an appropriate ruling. As an independent firm, at Brian Gale Surveyors we are able to provide a professional, unbiased opinion to assist in these cases, and have provided Expert Witness Reports for boundary disputes, valuations, defective construction, dilapidations and much more. Our team are trained to provide specialist observations, all of which are compliant to the relevant Civil Procedure Rules of the Courts. What does a surveyor do when acting as an expert witness? 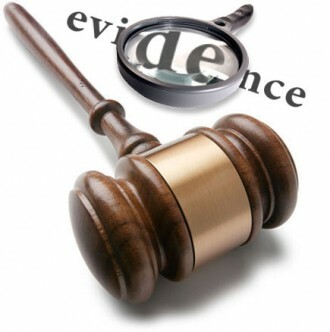 If instructed as an expert witness, we will carry out a visit to the property at the centre of the dispute, and collect all the information we can find about the matter. These findings, relating to both sides of the issue, are compiled into a report that follows the requirements of Practice Direction 35, carefully detailing our opinion and making clear any issues that fall outside of our expertise, or where there has been insufficient information to make a judgement. There is usually no requirement for a surveyor to appear in Court, however in especially complex cases it may be necessary for a cross-examination. Can a Surveyor help me to win my case? If we are hired as an Expert Witness, it is expected that the professional information we provide the judge will assist in their ruling. However, we are obliged to give a full and unbiased opinion of the matter, and cannot leave relevant information undisclosed for the benefit of either party. If a client is uncertain about the strength of their case, we can carry out a brief report and provide our initial findings. If this brief report cannot find substantial grounds for a case, the client may end our services without further expense or obligation. If you or your solicitor would like more information about our independent Expert Witness Reports and the duty of care that we uphold for all clients, please contact us today.